DIY cosmetics are definitely the way forward. Making your own toothpaste is a great way of ensuring that you’re looking after your teeth. So many shop-bought dental products contain unnecessary ingredients (unless you have specific dental needs!) and are wrapped in endless packaging that damages the environment. Making your own toothpaste isn’t as tricky as it sounds, and is well worth giving a go. By creating your own cosmetics, you know exactly what’s going into your body and can avoid anything nasty. The recipe I’ve chosen to share has a coconut oil base – this oil is amazing for pretty much every part of your body, and works really well in toothpaste. I’d suggest making a big batch all in one go, and keeping it stored somewhere safe and clean. 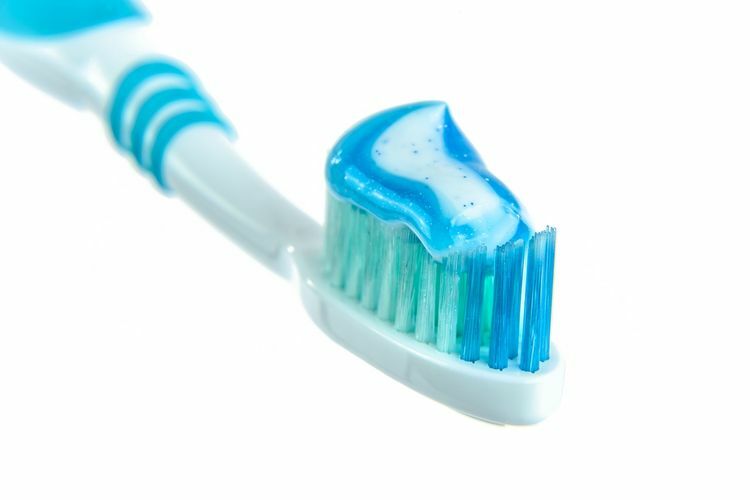 By creating your own toothpaste, you’re bypassing all the packaging that comes with store-bought products. Toothpaste comes in a sealed tube, and a cardboard box. Seems like overkill, right? You can easily store your homemade toothpaste in a Mason jar, or recycle glass jam jars. This cuts down on waste, and massively helps the environment. Coconut oil is a solid at room temperature, so you’ll want to melt it down. This can be done in a microwave if you’re careful, or by placing a glass bowl over a saucepan of simmering water and heating it that way. Add in the baking soda slowly, making sure you mix it all in and don’t leave any lumps. Take the mixture off the heat and add a couple of drops of any essential oil you like. Pour into a jar and keep somewhere cool – it should end up as a solid paste that you can easily scoop onto your toothbrush. Coconut oil works as a really great base here and is good for teeth and gums as it’s nice and gentle. The baking soda acts as a light abrasive to clean the tooth enamel – think Arm & Hammer on a budget! This also helps get rid of any bacteria that’s lurking in your mouth which can cause tooth decay, as well as halitosis (bad breath). Adding essential oils is more for flavor and smell, but is still a nice touch. By making your own, natural toothpaste, you don’t have to experience any added chemicals. While some people do need professional dental hygiene products, most of us are lucky enough to simply clean our mouths and be done with it. Getting rid of leftover food and bacteria keeps our teeth and gums healthy, which this DIY toothpaste does nicely! 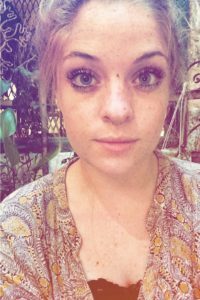 Hi, I’m Lucy and I’m currently traveling around South-East Asia with my trusty yoga mat and a constant craving for the ocean. I love finding healthy, eco-friendly ways to improve my well-being, even more of a challenge whilst on the road. When I’m not on the move, I’m writing for SleepHealthEnergy.com, your one-stop shop for everything related to getting a great night’s sleep, enjoying optimum health and having buckets of energy. Follow along on Twitter and Facebook.